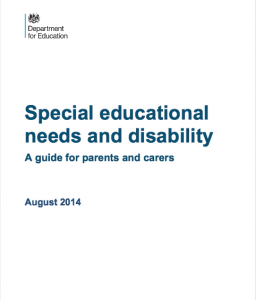 The law governing Special Educational Needs and Disability changed in September 2014 when the Children and Families Act was implemented. The changes are designed to give families, children and young people more choice and control over what happens to them and give their views and wishes much more importance. The Local Authority must publish information about services and how to access them in a Local Offer.